In order to fulfil the high expectations of our external and internal trainees NearSoft commits itself to the principles of customer satisfaction. 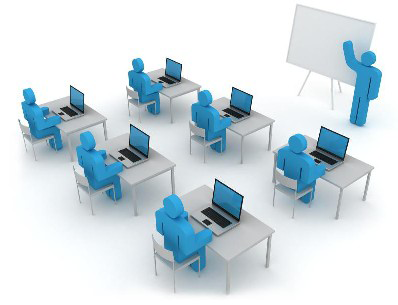 This ensures that the training needs of those taking part in seminars and courses are satisfied to the mutual benefit of both customers and NearSoft. The target groups are the various categories of customers and NearSoft partners who require information and knowledge to be able to fulfil all the functions of their professional lives. Business Processes and Tools (non product-related courses). They are intended for executives, manufacturing/operations and IT personnel. MOM4 (product-related courses). NearSoft has developed a set of courses that will assist different categories of MOM4 user and facilitate them fulfilling there day-by-day activities. All NearSoft lecturers are members of a a lecturer pool. It includes internal NearSoft managers and experts and non-NearSoft personnel (guest speakers from universities, customers, and others). Basic – for operators, QA personal, Sales, Maintenance, etc. Advance– for Foreman, Shift Managers, Plant manager, etc. Expert – for Planners, Supply Chain Manager, etc. Manager – for Middle and Top Managers, etc. Administrator – for MOM4 System Administrators, etc.